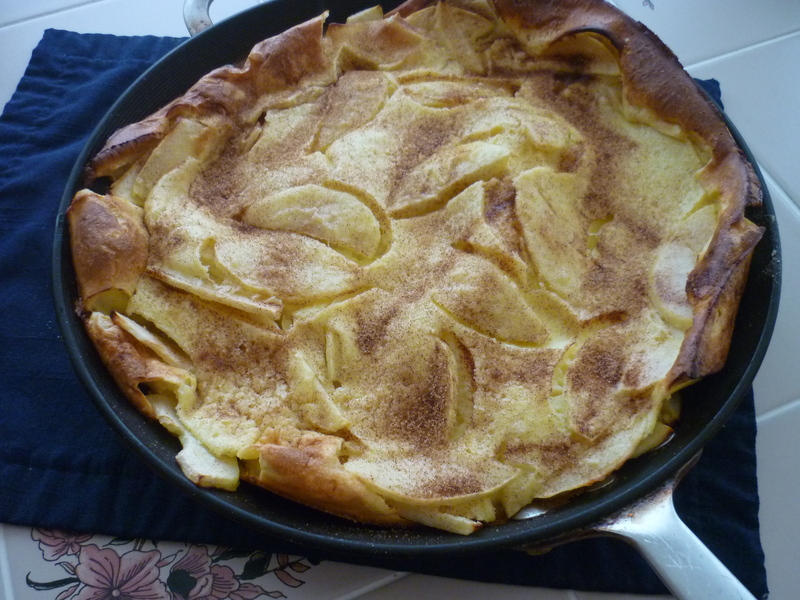 If you are tired of the same old pancakes or the same old waffles for breakfast, turn to these apple pancakes. It’s quick and easy. Hopefully you have apples and an iron skillet. And lots of eggs, 6 to be exact. Don’t be alarmed about how much this puffs up when you bake it. It’s actually quite exciting the first time you make it. But don’t worry, the pancake will fall by the time you serve it. And don’t forget the butter and syrup! 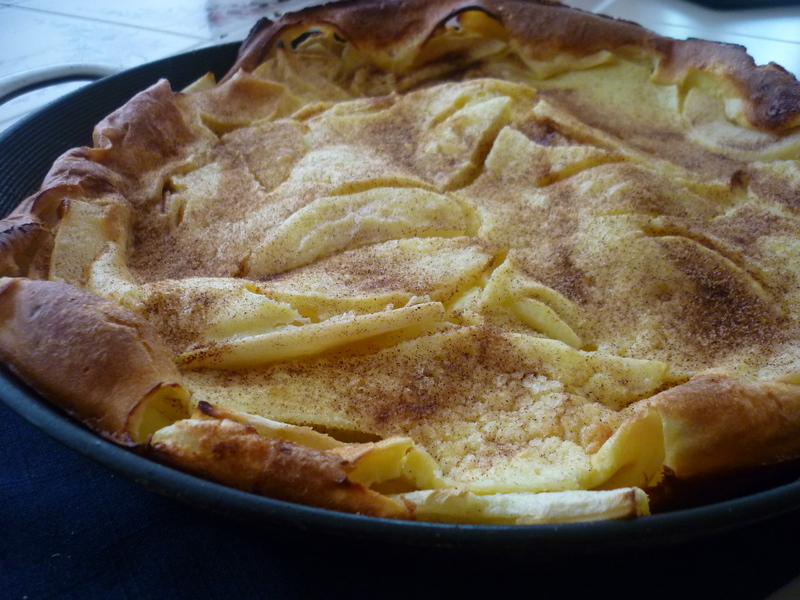 In a bowl (do not use blender), combine milk, flour, eggs, sugar and salt. 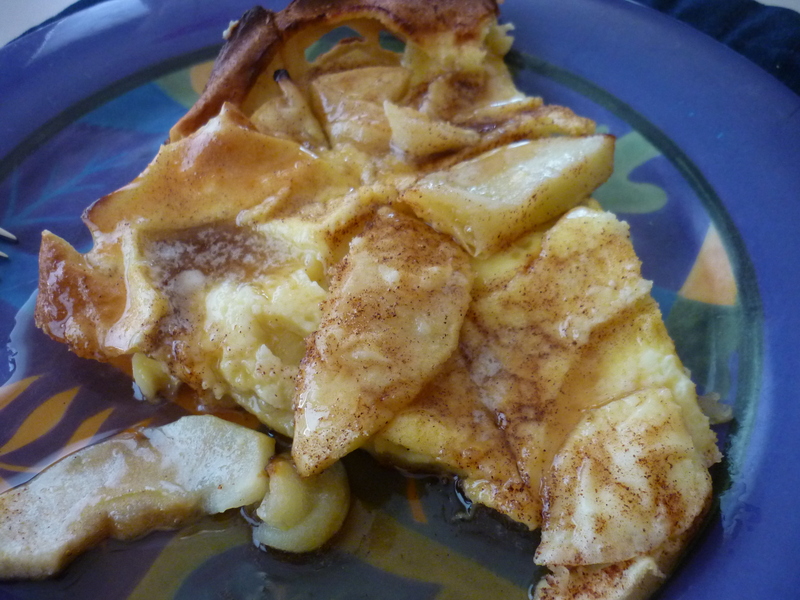 Peel and slice apples and fry in 2 tablespoons butter in a 12-inch iron skillet for about 2 minutes. 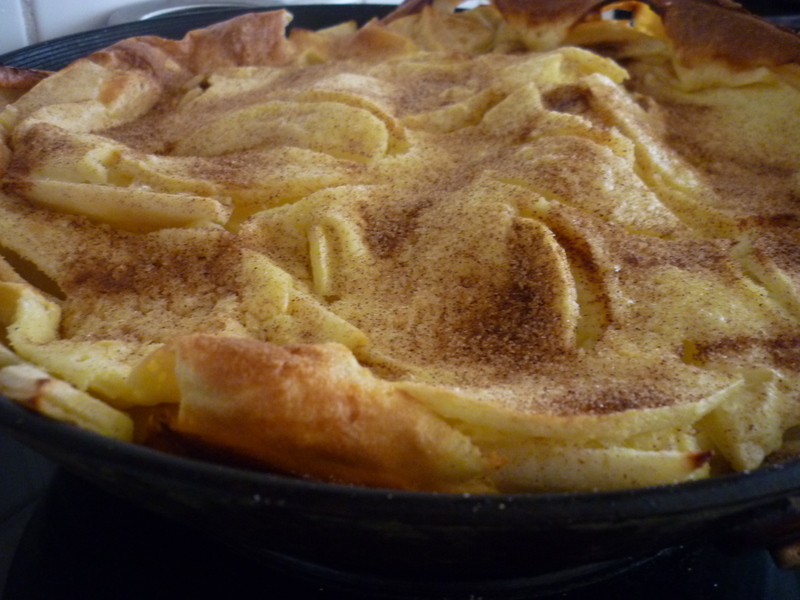 Pour batter on top of fried apples. Bake in 500 degree oven for 10-15 minutes. When nearly done, sprinkle with mixture of cinnamon and sugar. Dot with butter and return to oven until brown. Remove and serve.